You'll be £12.99 closer to your next £10.00 credit when you purchase Unbroken. What's this? During the bleak, heartbreaking days of early 1942, when beleaguered Malta was reeling under bombardment and blockade and Rommel was making his last desperate thrust towards Egypt, only one British submarine was operating in the western Mediterranean - the tiny, 600-ton Unbroken. 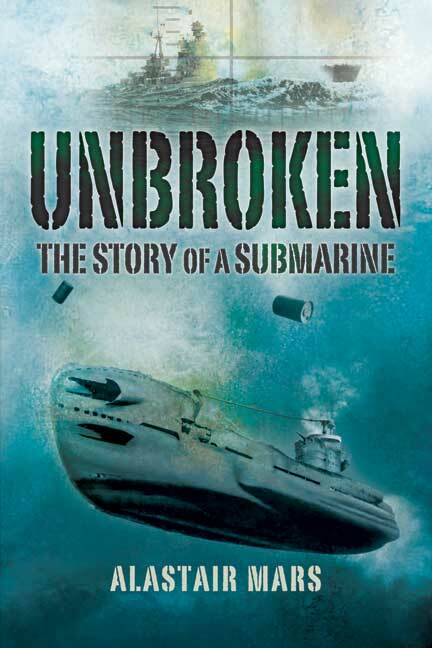 In twelve months in the Med, Unbroken sank over 30,000 tons of enemy shipping, took part in four secret operations, three successful gun actions, and survived a total of over 400 depth charges, as well as innumerable air and surface attacks. This account of the 26-year-old Alastair Mars' command of this outstandingly successful submarine embraces her construction, sea trials and voyage to Gibraltar preparatory to her vital role in the Mediterranean. Once there, she was responsible for the destruction of two Italian cruisers and played a pivotal part in Operation Pedestal, the convoy that saved Malta from surrender. Alastair Mars writes simply and without pretension, and his words evoke the claustrophobic yet heroic world of the submariner. The commander of the lone, small submarine that helped protect Malta during WWII recounts his crew's outstanding bravery.